by becoming a Flipkart Affiliate! An extensive range of tools available, ranging from simple banners & widgets to APIs, for listing Flipkart deals / products on your own site / app. "Flipkart has been one of the highest affiliate revenue generating e-retail store for us since long. They have by far the best conversion rates in the industry, which means we generate more revenue per lead from Flipkart than any other store. Flipkart has been a great partner in our success so far. One more thing that I can comment for sure as a co-founder of one of the largest price comparison site in India is that prices of products on Flipkart are really competitive and generally one the lower side." "We've been working with Flipkart for a few years now, and they have always had among the highest conversion rates for the traffic we send them. Flipkart's product prices are always competitive, which coupled with their excellent service standards and exclusive product launches shows their value proposition. Our Flipkart affiliate manager is also very helpful and always on hand to assist us. Flipkart's affiliate panel is reliable and informative, with real-time updates, and affiliate payments have never been an issue, coming in on-time every month." 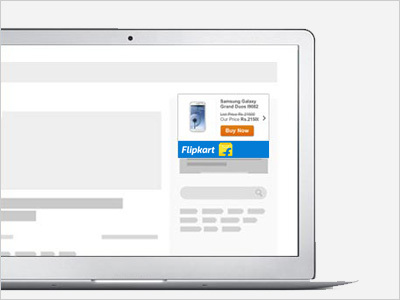 "Flipkart has been one of the early adopters of affiliate marketing as a channel in India. Having developed their technology internally, they have much better control and understanding of their publisher's requirements. 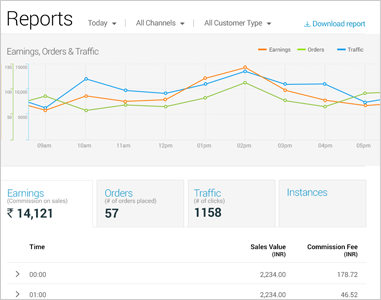 Feeds, reporting widgets are all well integrated within the affiliate panel. To top it all a helpful team which understand affiliate marketing very well." "Flipkart runs one of the best affiliate programs in India. They have a wide range of products to promote, the tracking is accurate, the fee is competitive and always paid on time. The account managers are very professional as well, and give prompt support when required."